Did you really think the international break would stop the rumours train? Oh no. Nothing stops the rumours train. It's like the train in that Denzel Washington film where the train doesn't stop... except at the end, when it stops. Callum Hudson-Odoi is still a wanted man in Germany, with not only Bayern Munich but Borussia Dortmund keen on a summer move for the teenage prodigy. While you may have heard that already, the new claim courtesy of ​SportBild (not to be confused with Bild) is that ​Liverpool too are keen on CHO. The report focuses on the German clubs' interest but throws in a teasing mention of the Premier League leaders, claiming they 'have kept an eye on Hudson-Odoi'. It's a tantalising claim. However, links to Liverpool were previously shot down by Liverpool ITKs, while the likelihood of ​Chelsea (who are being obstinate enough with the Germans) selling to a domestic rival, while potentially under a transfer ban, seems next to nil. Meanwhile Celtic full back Kieran Tierney insists he has not been in touch with former manager Brendan Rodgers over a summer move south of the border to ​Leicester City. Rodgers took the likes of Joe Allen and (ahem) Fabio Borini with him from Swansea to Liverpool and Kolo Toure from Liverpool to Celtic, and he is already being tipped to bring some familiar faces to the King Power Stadium this summer. However, 21-year-old Tierney - who has been linked with a whole host of Premier League clubs - told the ​Evening Times that he has had minimal contact with Rodgers since his departure. “No, I’ve not seen him since. I had a few text messages just after he left but that’s it," Tierney said. So there. ​Atletico Madrid are the latest club to be named as interested in Benfica defender Ruben Dias. The 21-year-old centre back has picked up a host of admirers this season as Benfica sit pretty at the top of the Portuguese league. Those admirers include the likes of Juventus and ​Manchester United (which defender isn't linked with United currently? ), as well as Atletico. According to Madrid daily ​AS, Atleti officials have been following Dias with 'great attention'. The Portugal international reportedly has a release clause of €60m in his contract for any club wishing to bypass the tedious process of negotiation. Ruben Dias isn't the only target Juventus won't have a free run at this summer, with ​Barcelona tipped to challenge the Old Lady for 17-year-old Lucien Agoume. The Cameroon-born France youth international midfielder currently plays for FC Sochaux and has 13 Ligue 2 appearances this season, but you already knew that didn't you... you hipster. Most intriguingly, ​Calcio Mercato - who bring word of Barça's supposed interest - claim that Agoume is considered the 'new Pogba'. No pressure then. Meanwhile, the ​old Pogba has waxed lyrical about Barça, calling them 'a team I always watch', ahead of Man Utd's Champions League showdown. Could we have an Old Pogba-New Pogba midfield double act at the Camp Nou in years to come? 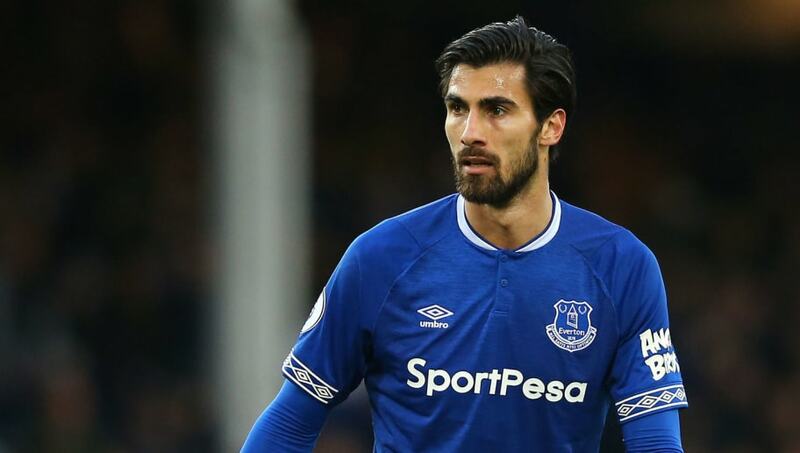 And finally, Everton may not get a clear run at Andre Gomes this summer with Premier League rivals Tottenham apparently ready to dust off the old chequebook and try to tempt the Portuguese midfielder to New White Hart Lane/Tottenham Hotspur Stadium/Insert Sponsor Name Here. ​The Sun reckon that while Barcelona are keen to sell, Gomes' eye catching displays for the Toffees mean there could be a bidding war, which is probably the best kind of war. Inter have also been tipped to make a move for the £20m-rated midfielder.